Notary reference books can be useful when doing research, and when seeking additional information, explanations, history or best practices. The National Notary Association (NNA) publishes many notary reference books, including state-specific notary law primers. Older, historic reference books make interesting reading to learn how notary powers and procedures have changed over the years. Marketing books are useful for self-employed notaries seeking to grow their businesses. 1. Anderson’s Manual for Notaries Public, 1940, Anderson Publishing Co.
Used notary reference books are often available for sale on eBay, Amazon and other websites. Always follow your state notary laws. 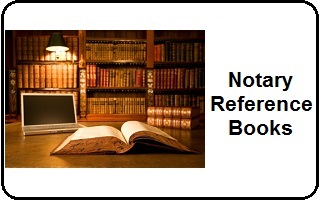 Information found in a notary reference book may be out of date or may not be valid for your state.